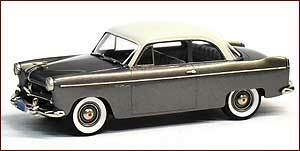 Brooklin Models 1954 Willys Aero Ace 2-Door Sedan. 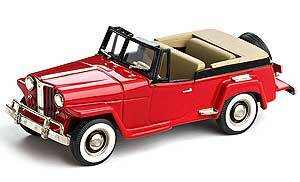 Willys found fame a degree of fortune during World War 2 with the ubiquitous Jeep. This iconic vehicle saw service with the Allied forces in virtually every theatre of land-based operations. Taking its name from the first letters of 'General Purpose' or 'GP', it was also built by other companies to meet the huge demand, and spawned copies world-wide, culminating in the present-day vast 'off-roader' market.